Uploaded by bluebox SEND US YOUR BEST FIXES! Bought new shoes for my smallest one and within two days they were scuffed beyond repair as she plays on the floor on her knees. 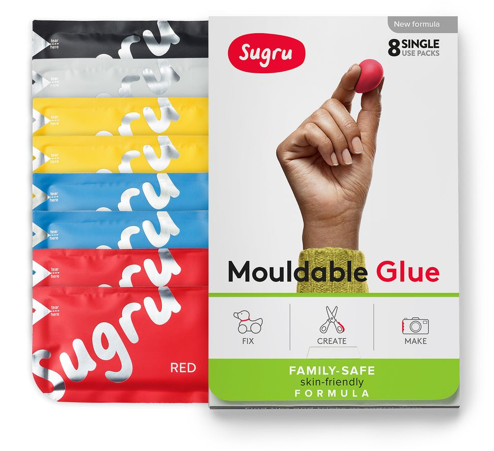 After looking in vain for a solution I came across Sugru and thought 'this could work'. I cut some Frogtape as a guide ( the kind you use when painting to stop paint marks on the skirting boards) and mixed some red and white together. It was very salmon pink but looked good. It took her a while to wear through it and this time I used panther pink . It took less than ten mins to peel off the old one and put on the new. Shoe life extended and waterproof restored. Love it!